I saw Spike Lee sit court side with these shoes on his feet when Melo got traded to the Knicks. I was really contemplating coming up with a hair brain scheme to kidnap Spike, get the shoes, but then I thought about going to jail so I balded up the piece of paper and prayed to the sneaker Gods that these kicks would drop. Rumor mill has been stirring and these may be a late 2011, early 2012 drop along with the Bordeaux Spiz’Ike. Do not sleep on these. Check out the pics…. 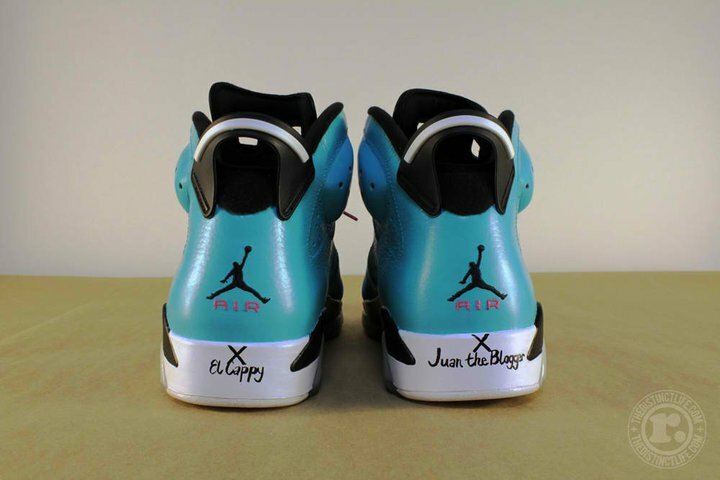 I saw these first on my dudes from the “Atlanta Got Sole” camp….. Check them out if you don’t know about them. Them boys get those sneakers! You can find their link on my blog role. But this is a very clean sneaker. Grey is always a good color way on a great sneaker design. Check out the pics. My little brother would gut your mother for a pair of these…. He’s a Jordan IV Fiend!